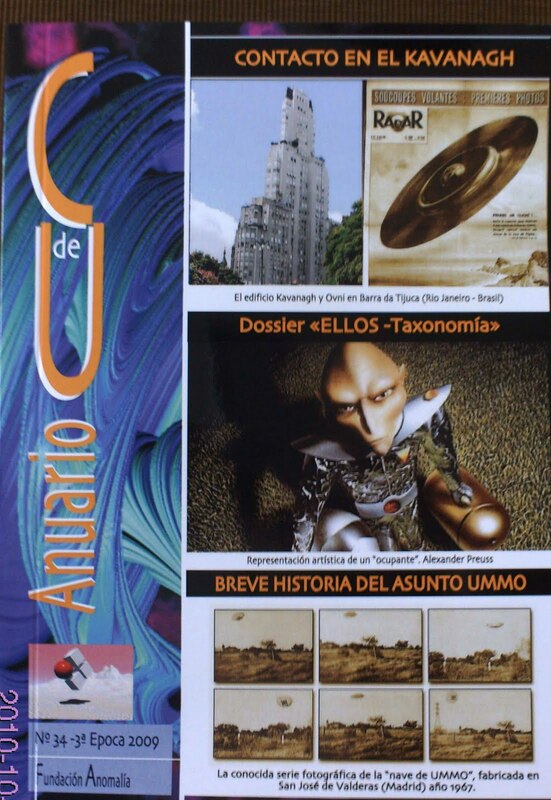 From Spain, we have received from Fundación Anomalía the Yearbook of “Cuadernos de Ufología” (Ufology Notebooks) presenting the writings of 17 authors in a total of 247 pages. As usual it is a production of high quality not only for its printing but for its content. Within the articles published its outstanding the space (36 pages) dedicated to comment the most recent book of our Argentinian friend Alejandro Agostinelli, entitled “Invasores” (Invaders). Maybe Alejandro –unconsciously— was influenced by the title of the famous TV series of 1967-1968. The compilation of diverse material done by Agostinelli, is not from a strictc ufological perspective but from one of a journalist avid to share with the general public unknown or not so well known stories behind different cases and individuals in Argentina.